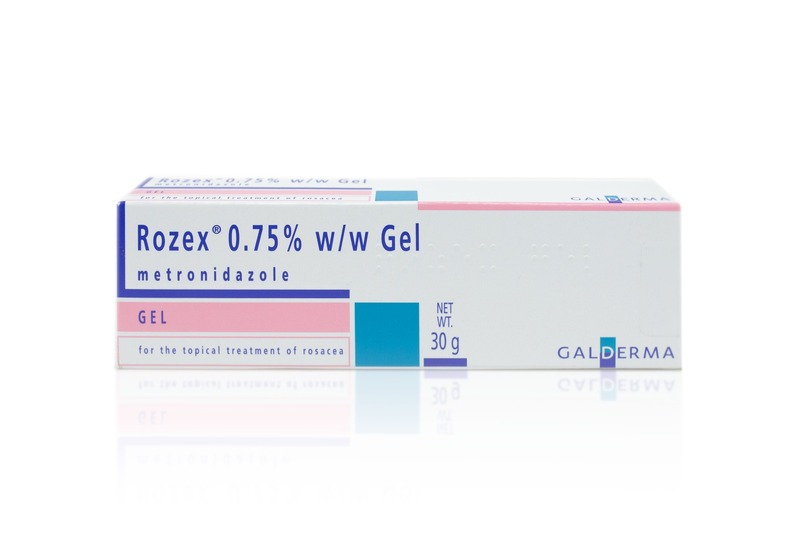 Rozex is a prescription medication used to treat a skin condition called rosacea. Rosacea is characterised as flushing, burning, and redness of the skin with spots and visible blood vessels. For some people this is a persistent condition that causes unpleasant symptoms and may need medicated treatment. Rozex contains the active ingredient metronidazole which belongs to a group of medicines known as antibiotics. This medicine helps to treat chronic rosacea by reducing redness and inflammation, and clear spots. Rozex is available in the UK by prescription and you should consult your doctor before using this medicine. Have you been diagnosed with rosacea by a doctor or nurse? Has your skin condition been checked by a doctor or nurse within the last 12 months? Is your skin condition affecting any of the following areas of your body? Have you been prescribed this medication by a doctor or nurse? The antibiotic cream is applied directly to the affected skin to fight the infection that is causing the symptoms of rosacea. Rozex is antibacterial and works by killing the bacteria responsible for rosacea and in turn soothes the skin and improves its appearance. Killing the bacteria stops it in its tracks and prevents it from becoming more widespread. Who is Rozex suitable for? Rozex is suitable for those who have been diagnosed with rosacea, this condition can sometimes be misdiagnosed as another skin condition such as eczema or psoriasis so it’s important to get a proper diagnosis before starting treatment. Medicated treatment such as Rozex is prescribed to those who have frequent bouts of chronic rosacea. Who is Rozex not suitable for? There are a number of factors which may make you unsuitable to use Rozex. For instance, if you’re taking other medications which may interfere with this drug, or if you have a health condition which could be worsened by using this medicine, then this may not be an appropriate treatment for you. You should always consult your GP if you’re taking other medication, have a health condition, or are pregnant, to ensure that this medicine is safe for you to take. Rozex should not be used by children. It may not be recommended to use this medicine while you’re pregnant, planning to become pregnant or are thinking of becoming pregnant. You should always take the advice of your doctor before using this medicine if any of these apply to you for the safety of you and your baby. Always ask a doctor if Rozex is suitable to take if you have other health conditions. This medicine may not be suitable if you have a blood disorder. If you know you have a blood disorder speak to your doctor about it as it may the case that you can use it but this is all dependant on your doctor’s decision. If you have an allergy to metronidazole or any other ingredient in Rozex you should avoid using this medicine. Allergies can be severe and the reactions can be life threatening. If you know you have an allergy to these ingredients you will not be suitable to use this medicine, however, if you’re using this medicine for the first time and experience your first reaction you stop using it and seek medical help immediately, particularly if it is a severe reaction. You should always check when starting a new medication that it is safe to take with any existing medication that you may be taking to avoid side effects and interaction between the drugs. Although Rozex is applied to the skin it may absorb into the bloodstream but in small amounts. There is a risk it may interact with other medicines, particularly drugs used to reduce blood clotting such as warfarin and dicoumarin. Rozex should only be used as directed by a doctor. The recommended dose is usually a thin layer of the cream to be applied twice a day ideally in the morning and evening. Make sure that the affected area is clean and dry before applying the cream and always wash your hands after use. Are there any side effects of Rozex? Rozex does have some side effects like all medicines but not everyone will experience them. Some of the side effects of Rozex occur more frequently than the rarer side effects. However, you may not experience any side effects at all while using this medicine. If you do, you should stop applying the cream and speak to your doctor about alternative treatments for your rosacea. Side effects which may affect around 1 in 10 people include dry skin that may also be accompanied with redness and itching of the skin. You may experience skin discomfort including burning, pain, or stinging. In some cases skin will become irritated and may worsen rosacea. You may experience an allergic reaction if you have an allergy to any of the ingredients in Rozex. You’ll usually experience symptoms of skin irritation such as a rash or itching, and if you do you should discontinue use and seek medical help immediately if the reaction is severe. If you experience any negative changes to your health while using this medicine you should consult your doctor to discuss reducing your dosage or trying another treatment. Is Rozex effective at reducing the symptoms of rosacea? Although this cream may take time to show results it’s important to keep using it until your doctor tells you to stop. If used correctly Rozex can effectively treat the symptoms of rosacea and eventually clear the infection. You can buy Rozex safely and securely online at Doctor-4-U. To do this you will need a prescription from a General Medical Council (GMC) registered doctor. At Doctor-4-U our GMC registered doctors make buying medication online safe, convenient and fast. You can order your prescription medication from the comfort of your home by submitting a medical consultation form and relevant details which are reviewed by our online doctors to determine your suitability. 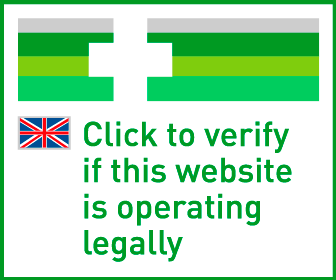 Once you have been deemed suitable to take this particular medication it will be dispensed by our UK-based pharmacy and sent to you via a tracked courier service.